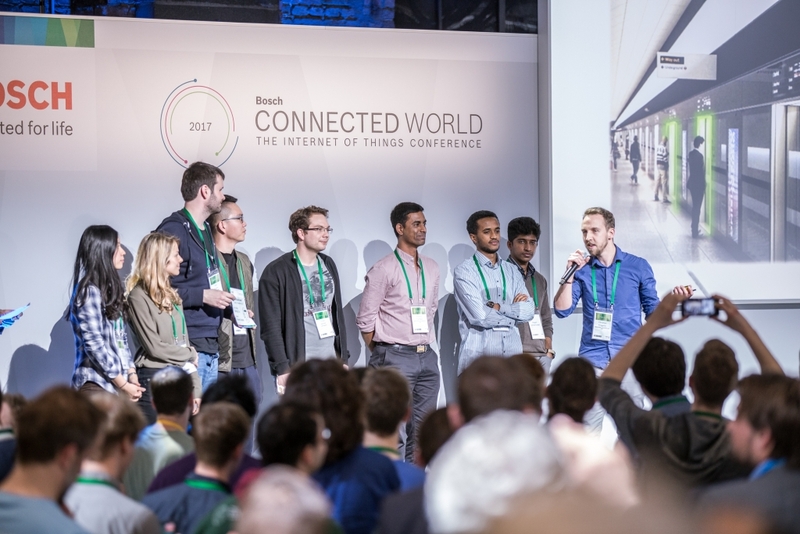 In March 2017, business leaders from all over the world came together at Bosch’s annual Connected World conference to talk about the future of IoT. 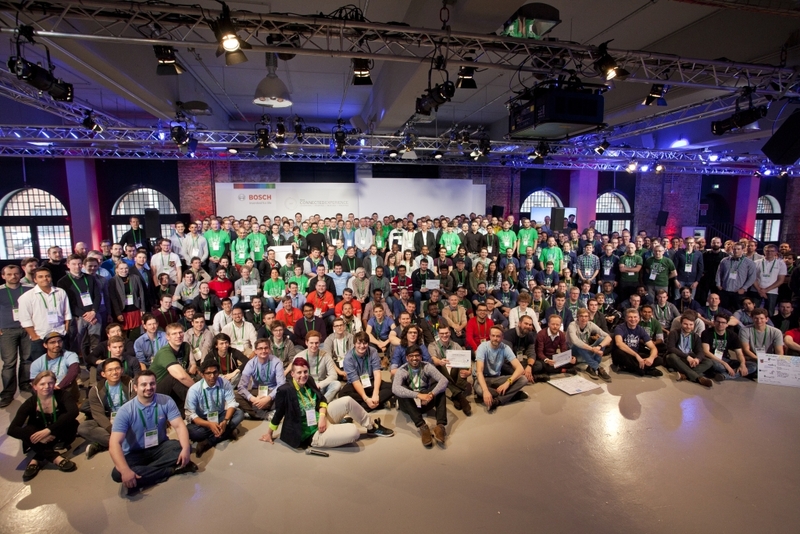 As part of this event one of the biggest hardware Hackathons in Germany was also hosted. Four of our BIPM students had the opportunity to attend the event due to a generous ticket donation by Bosch. 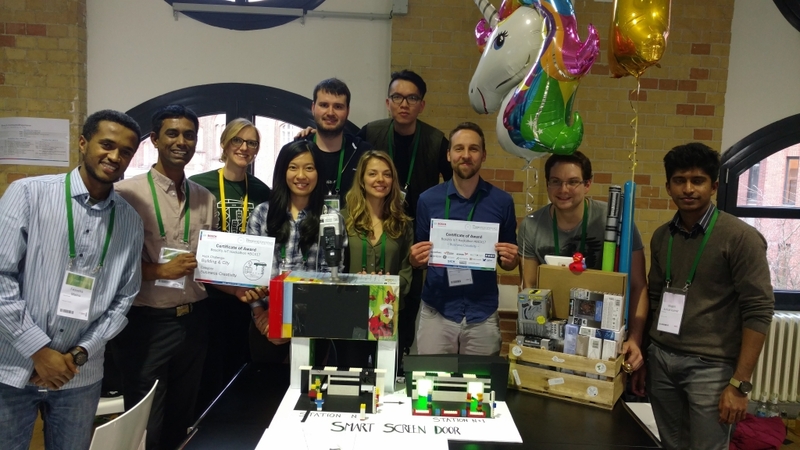 With their idea and implementation of an intelligent subway station system, they came out on top out of more than 60 international teams and thus emerged as the overall champion to win the Business Creativity Award. 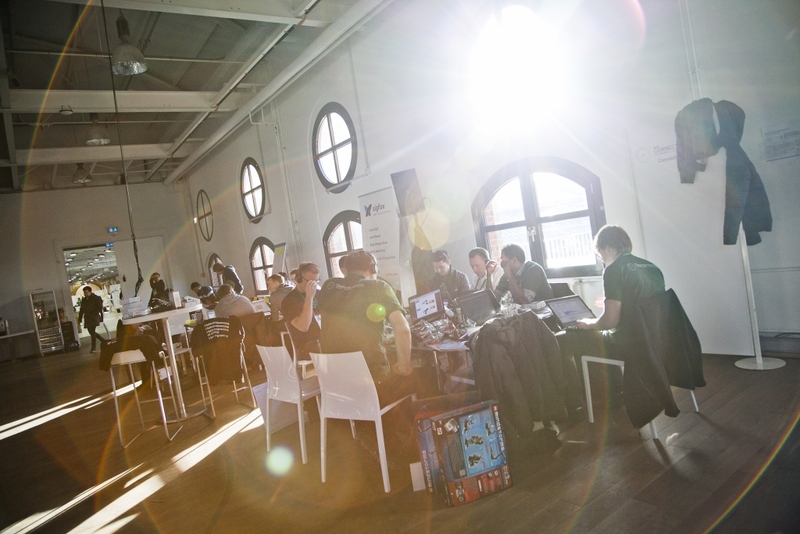 What actually is a Hackathon? First and foremost, it is all about the creation of useful, creative or funny ideas which are then implemented into software or hardware solutions in a very short amount of time. Thus, Hackathons are mainly designed for programmers. However, as they have become more and more popular over time, participants from various backgrounds such as data science or business related fields can also be found there quite frequently. 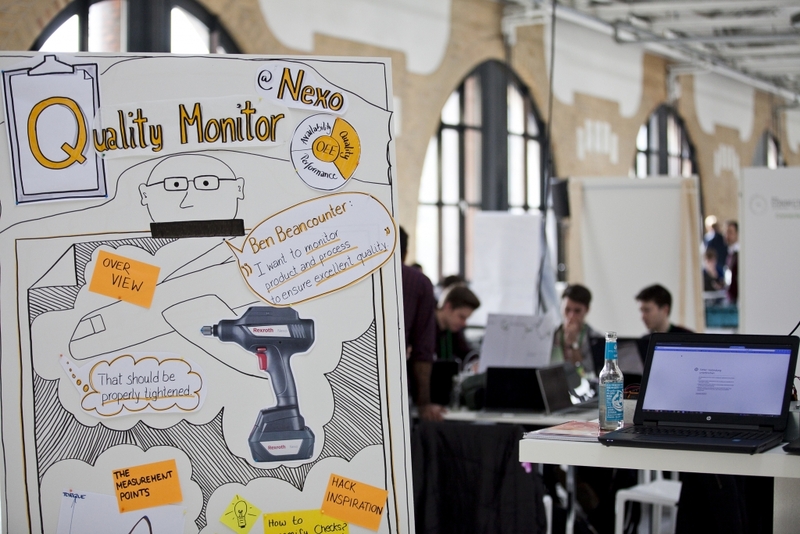 In four different Hack Challenges (#1: MOBILITY – #2: MANUFACTURING – #3: BUILDING & CITY – #4: OPEN HACK) the participants were given no boundaries to their creativity. “We decided to participate in the Building & City Hack Challenge because we already worked on this topic with one of our project partners during the semester,” said Linda Cen. „Our idea was to build an intelligent subway station, which lets the passengers know where a less crowded car will be – even before the train arrives at the station. This would reduce the boarding times significantly during busy hours and optimize the space utilization of the cars. Ultimately, our vision is to optimize the traffic flow and to enhance the train journey,” explained Christian Kregelin. 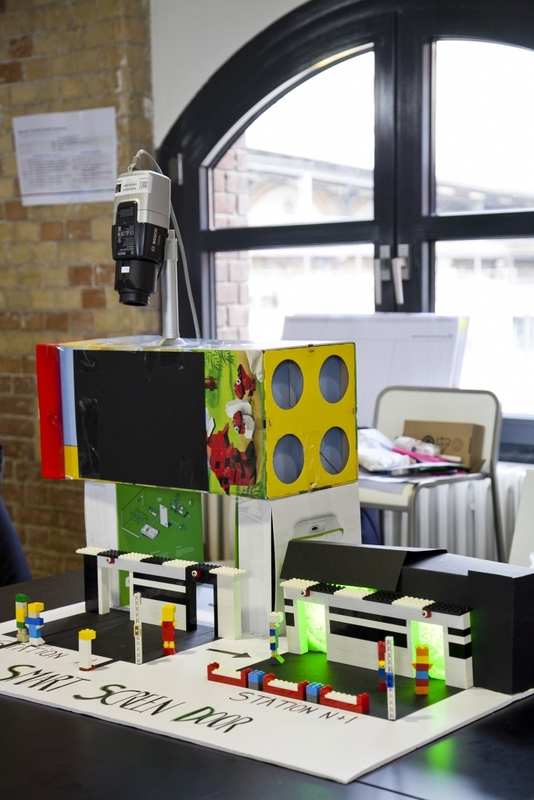 The team used plenty of LEGO blocks to build two subway stations and implemented the provided hardware to come up with a working prototype. The concept is really simple. LED lights around a platform screen door (PSD) at a subway station guide the passengers toward less crowded cars by controlling the intensity of the LED light. If the light is brighter, the car will be less crowded. A camera inside the frame of the PSD counts how many passengers enter and exit the car. Thus, the system always knows how many people are in each car. Another camera is placed near the platform to count where the passengers are waiting. This is crucial to find the right balance between people waiting in front of the PSDs and less crowded cars. One challenge – for the system to work – is to give passengers enough time to find the appropriate car. Therefore, the LED lights flash based on a machine learning algorithm if the train is more than one stop away. If the train is just one stop away, real-time data from the previous station will be used. There were two awards: Technical Brilliance and Business Creativity. 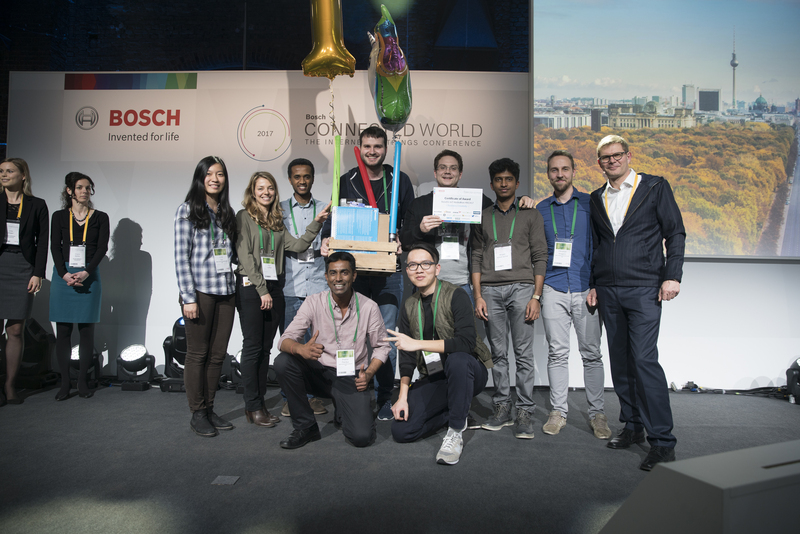 As the winner of the City & Building Hack Challenge, the team moved on to the finals where they pitched their idea in front of roughly 1.200 attendants of the Connected World conference to compete against the winners of the other Hack Challenges. Ultimately, the intelligent subway station concept convinced the jury and therefore came out as the winner. 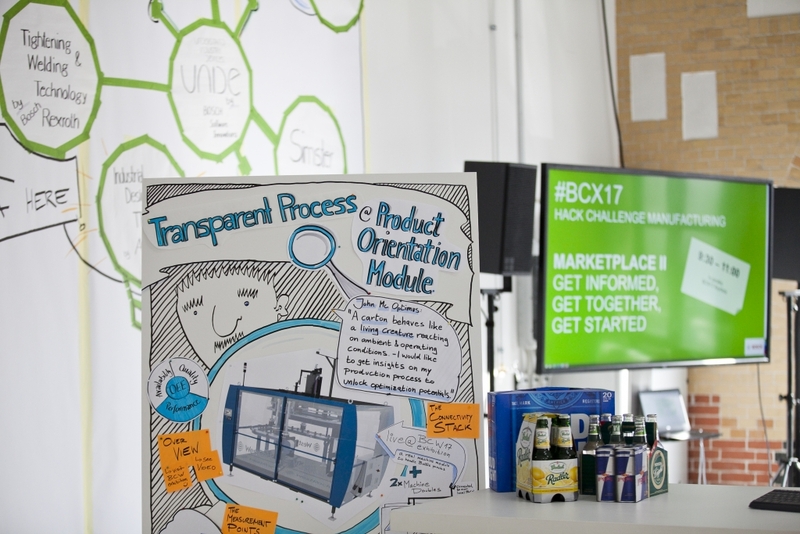 The highlights of the Bosch #BCX17 Connected Experience Hackathon can be seen on YouTube. The BIPM program would like to thank Bosch for the possibility to participate in such a great event. 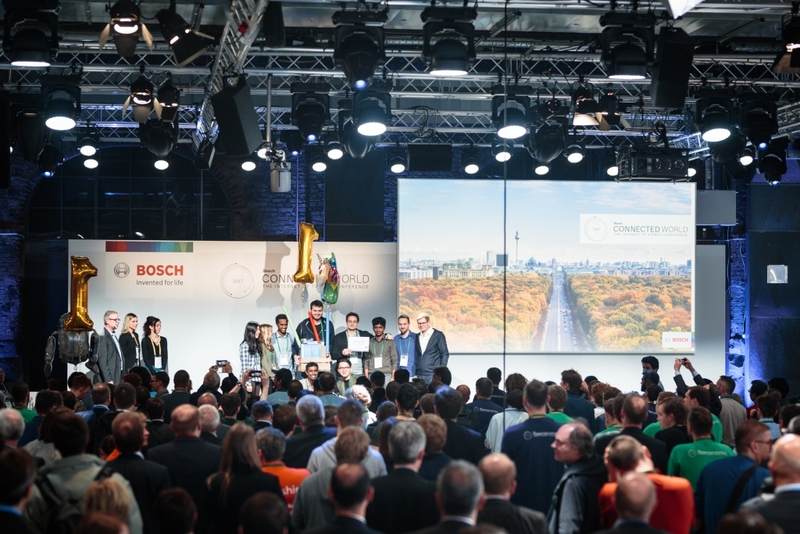 We are looking forward to participating and defending our title next year at the #BCX18.